The Freedom Song is available on Amazon & Kindle. How to download the Kindle app for iPhone, iPad, iPod Touch or any international device. Step 1: From your device, tap the App Store icon. Step 2: In the search box, type Kindle. Step 3: From the search results, tap the Kindle icon. Step 4: Tap the Install button to download and install the Kindle app. Step 5: Register the app to your Amazon account. 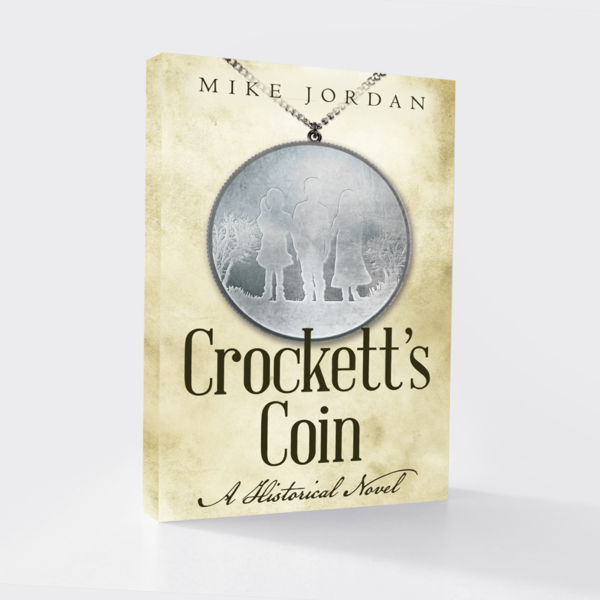 Mike Jordan’s epic series of romance, war and social justice in 1800s America. Three teenage friends confront the harshness of war, deceit and slavery as they battle their feelings for one another. Henderson Bohannan is charmed by the spirit of the beautiful blonde Winnie Harp and intrigued by the intelligence and conviction of Kate Gate. However, each girl is kept out of his reach by promises made to others years before. Will Henderson convince Kate to break her vow of celibacy? Or will he rescue Winnie from the arranged marriage with the obnoxious Chase Ferguson? Follow the lives of these three teenagers and their families in the first installment of author Mike Jordan’s Lost Heroes Series as they confront power-hungry neighbors, crooked authorities and the injustices of slavery. And witness how love, wisdom, conviction – along with a mysterious silver coin – affect the lives of the people of The Hills of Tennessee in the American South. Even as Henderson Bohannan explores new land for his family in the Arkansas Ozarks, trouble brews back home in Tennessee. An angry plantation owner, bent on revenge, orders slave hunters to kill a family of runaways and burn the home of their strident protector, Kate Gate. As the evil Fergusons carry out their horrific deed, and flames fill the Tennessee night, Kate and the slave family are scattered to the wind. One of the runaways becomes legendary for his knack at eluding the patrols, and another, a slave girl named Mary, finds unexpected romance at Lakeport Plantation. Years later, Henderson returns from the Gold Rush with his seven Arkansas Travelers, all intent on packing up their families and returning to the rich ranch land they had purchased in California. But the Bohannans, and their kin the Harps, instead find their hearts being tugged toward the delta land of Southeastern Arkansas. And Lakeport Plantation. A place where the nightmares of a night of fire and death so many years before still live. And a place where the Ferguson slave patrol rules the night. 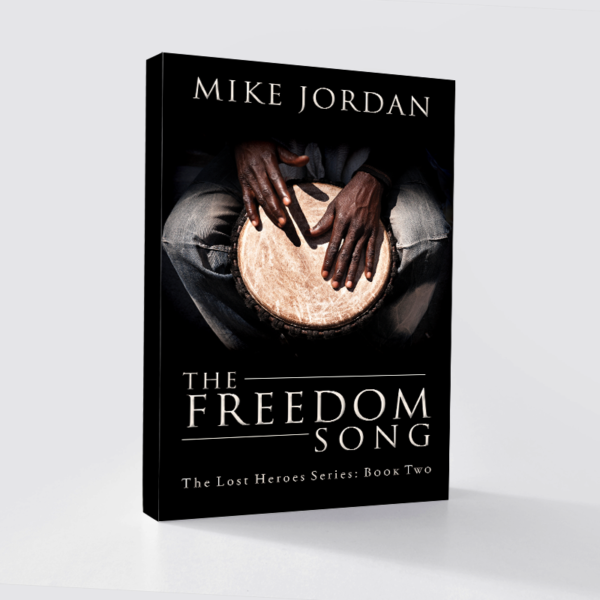 Based on a true story, The Freedom Song is the second installment of author Mike Jordan’s Lost Heroes Series. It is 1859, on the eve of the Civil War, and Henderson, Winnie and Kate Gate, under increasing pressure from the slave patrols, find new ways to help the runaway slaves who find their way to Bohannan Mountain. Samuel Harp’s writing earns him an assignment with the Arkansas Gazette, but not without the help of Nancy Green. At Lakeport Plantation, the slave girl Leticia wins acclaim as “The Runner,” and an historic race along the banks of the Mississippi River makes the opulent plantation of Lycurgus and Lydia Johnson famous for one memorable day. Samuel and Nancy and Leticia and her lifelong friend Timmy face difficult choices, with prospects of romance hanging in the balance and the quest for freedom charting their course. Based on a true story, “The Runner” is the third installment of author Mike Jordan’s Lost Heroes Series. Mike Jordan’s epic series of romance, war and social justice in 1800s America continues in the Ozarks of Arkansas and at Lakeport Plantation on the banks of the Mississippi River. 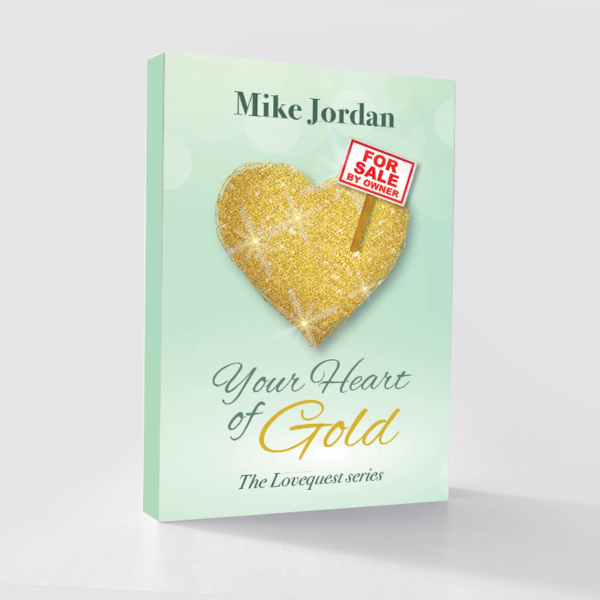 The first quick-read novel in Mike Jordan’s series about rediscovered love opens in the vineyards of Malibu, California, and ends with a House Hunter-inspired lovequest — an unlikely journey in search of a heart of gold. The second quick-read novel in Mike Jordan’s series about rediscovered love opens with a life-saving encounter on a cruise ship that leads to an on-shore lovequest – an urgent mission to discover the truth about a once-lost lover.